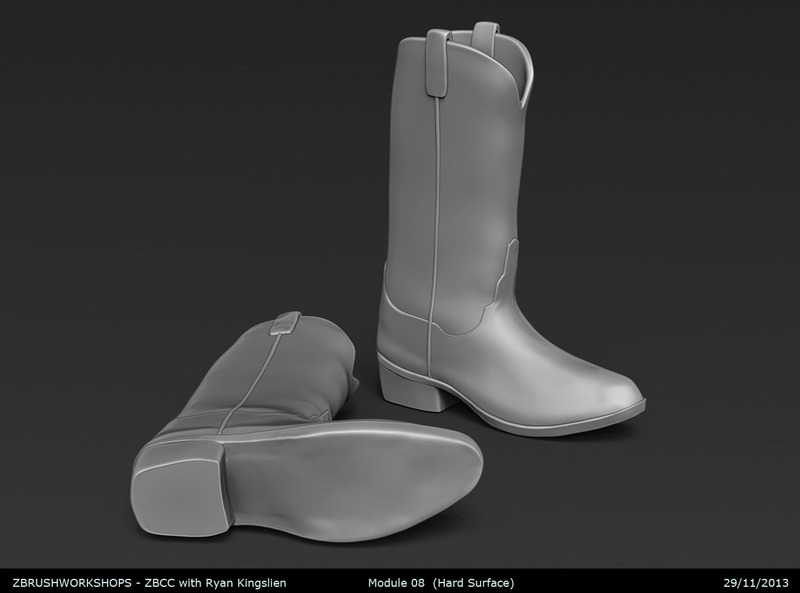 Hard surface sculpting and modelling in Zbrush. The key focus on this project was mesh extraction and working with polygroups. I used Shadowbox to draft out the initial shape of a cowboy boot. Using masking and mesh extraction I was able to pull out the individual parts of the boot to be assembled later. I added a few secondary details. I used a lot of smoothing, standard and Soft and hard polishing methods. 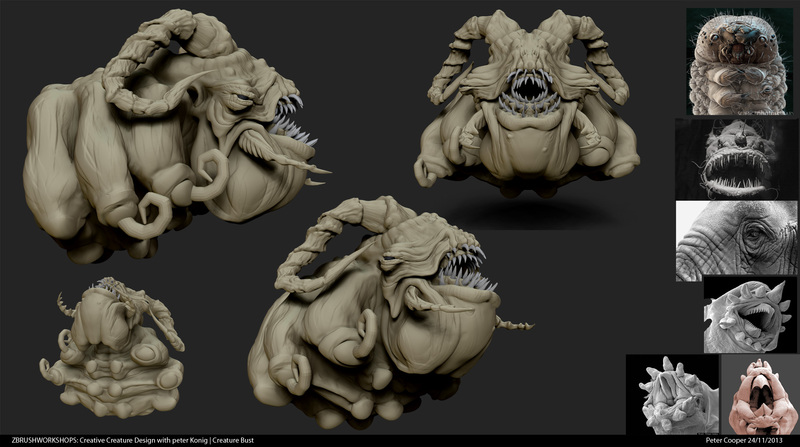 I have ticked off the key areas of this exercise, but if I was going to push it forward I’d starting adding detailed to the sculpt such as creases, stitching and decal designs. One of the reference images I used was crocodile skin, so might be interesting to see that implemented in future. Kit bashing exercise utilising Insert Sphere techniques. I wasn’t too focused on attaining perfectly accurate anatomy for this exercise. I wanted to get the overall forms down and fundamental shapes in place. 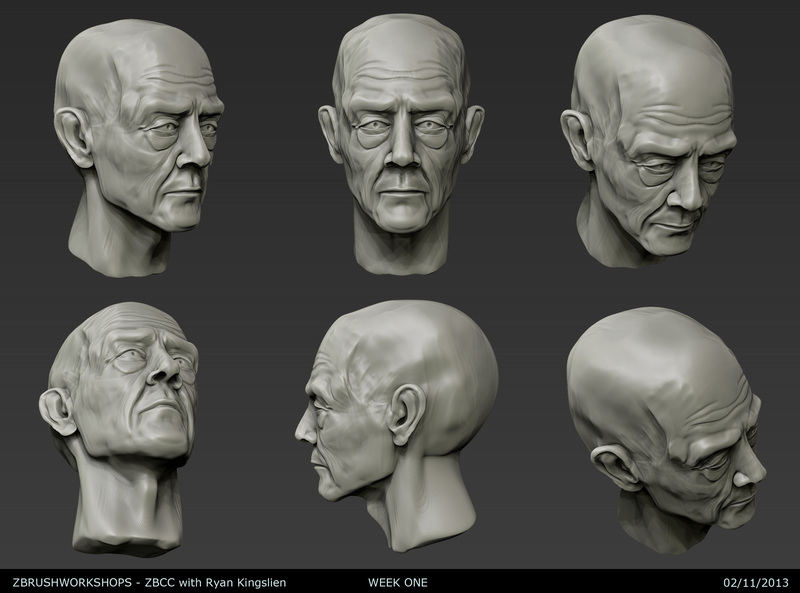 The head on this guy is an earlier sculpt I did for the head sculpt exercise previously. Really loved working like this, blocking out the main forms quickly was a joy. If I go forwards, I’ll be utilising a little dynamesh sculpting fun. I’m pushing forwards none the less. Some reference I used was from Michael Hampton’s book, ‘Figure Drawing | Design and Invention.’ I also borrowed reference from Gottfried Bammes book, ‘The Artists Guide to Human Anatomy’. I’m going to try this exercise again soon, but this time taking alittle George B. Bridgman as my source of reference. Still pushing on facial anatomy. Learning lots of new Zbrush workflows. This fella is based on John Hurt and he needs work. It probably didn’t help that I used several different reference images, based during different times in John’s life. The reason for this in part was to figure out his key architectural areas, namely the jaw and overal facial proportions. 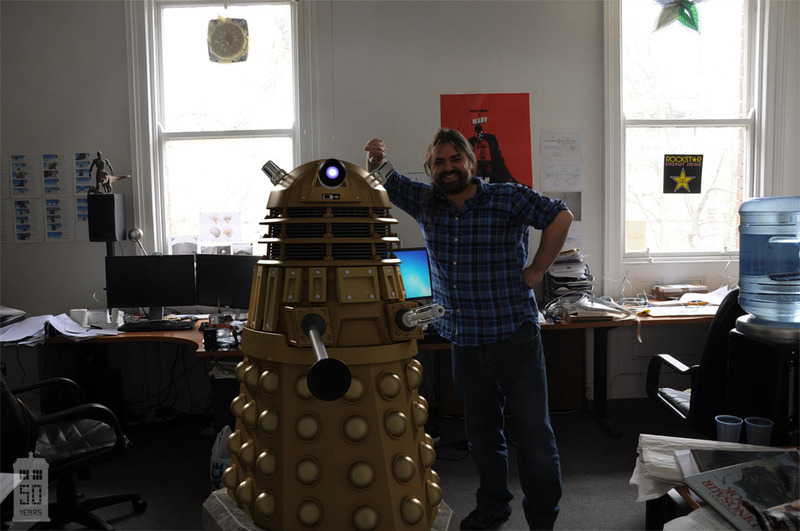 The Doctor Who 50th is coming up, so why not?! 😀 Polishing techniques need work, but I’m improving. I’m beginning to use both Soft and hard polish brushes along with different in-bed settings. There are still subtle plane changes going on despite some of the more defined details. I’ve been advised by Nate at Zbrush Workshops to try a slightly younger subject for my next exercise. Good advice I reckon. I’ll return to this fella soon enough.